Book online your fun dives in Coron, Palawan, Philippines. Coron offers plenty of diverse diving sites for all levels. The most popular sites are Siete Pecados, Baraccuda Lake and Japanese wrecks. Let the dive centre introduce you to the diversity of the underwater world. The magnificent marine life and the stunning scenery of El Nido provides unforgettable diving experience. Dive sites in Coron that you need to explore. 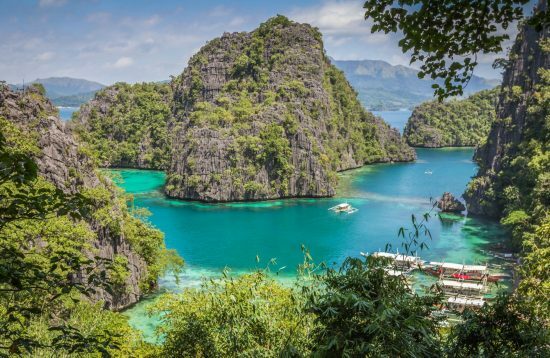 With its rich marine biodiversity, the municipality of Coron has become well-known all over the world as a dive destination with some the most beautiful diving sites in the Philippines. 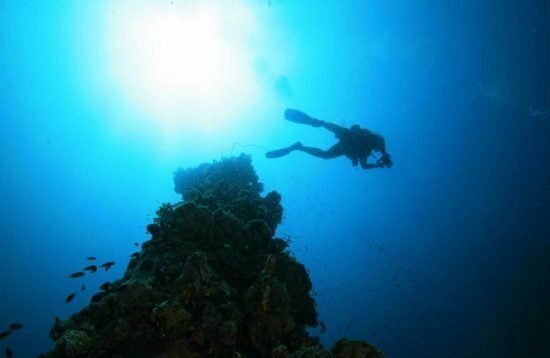 Here is the list of the most popular dive sites in Coron. Irako is a wreck located in the south-east of Lusong Island, south of the Kogyo Maru; it’s a Japanese Supply Ship about 147 meters long. It used to be a provision-vessel for refrigerating food that sank after the disastrous bomb-hits in 1944 and is now resting underwater in a depth of 42 meters in an upright position, angled to its port side. According to wreck-experts, Irako is undoubtedly the best and most interesting wreck in the municipality of Coron in Palawan. However, due to the depths and the size of the ship, and sometimes unfavorable conditions and advanced options to penetrate the wreck; diving into the wreck becomes highly serious. Even the Danish DM Claus Rasmussen, one of the most experienced wreck divers in Coron, dubbed his dive in Irako as a “Triple D” drive which stands for Deep, Dark and Dangerous. For those who are interested in the marine biodiversity, you will be able to see shoals of trevally, fusiliers, snappers, lionfish, and scorpionfish up close. And if you’re lucky enough, a whale shark that only appears once a year. As for those who are more interested about the wreck, you will find the transmission room, the propeller shaft on the starboard side, kitchen compartments, a workstation with a lathe-machine left, and the engine room with the engines still in place. This wreck dive is not suggested for beginners due to possible dangers. To be able to explore this wreck, one must have an Advanced Open Water Certification with an experience of at least 25 dives in order to dive in Irako. A wreck specialty certification is also preferred. The dive site may be accessed by boat and has a visibility of 10 to 30 meters. Akitsushima Wreck lies on the island of Lajo and Manglet was sunk by the Americans in 1944. It’s 148 meters long and lies at a depth of 38 meters. The starboard side of the ship’s body is in 20 meters. The arm of its stern crane lies broken off on its port side in 34 meters. Akitsushima is undoubtedly the most important wreck of Coron Bay due to the fact that it is the only naval ship from its fleet that was discovered up until now – which makes it more special and interesting to explore. This wreck offers various points of interest to whoever diver that takes a sight of this magnificent ship which is an absolutely impressive divesite on the outside as well as while penetrating it. The huge crane that was used to lift the missing seaplane “Emily” is still in place in Akitsushima, as well as a couple of 25mm AA-machine guns which may be seen near the crane and beside the funnels. The turret was the only one left of the two 12.7 cm twin guns that were in the ship since the guns and other valuable materials such as steam engines and propellers have already been salvaged more than 40 years ago. Its bridge section has more or less collapsed but its radio tower is still impressively intact. A huge pile of debris where you can see a pile of gas masks sticking out of it may be found underneath the collapsed compartments of the bridge. In its interior, Akitsushima offers divers a couple of exciting routes through three different deck levels where: at the elevator system you may find 12.7 cm guns; in the second and third levels are still alive ammunitions. You may also find the gears of the crane inside the stern section and the engine room which contains four huge gallons of diesel in place together with the commando room – which are the highlight of the route. Although there are only a few corals to be seen and observed surrounding the body of the ship supposedly due to a special coating for naval ships, there are still some soft corals in its superstructure and the marine life around it is exquisite. Underneath the stern is a common spot for schools of barracudas that grows up to 1 meter in length, along with batfish, sweet lips, lionfish, and the omnipresent scorpion fish. Occasionally, one may also be able to see big rays and turtles. Diving in this wreck is not recommended for inexperienced divers and penetration of the wreck requires a wreck-specialty certification and an Advanced Open Water with lots of experience and is a well-trained wreck diver. The occasional strong currents make it even harder to explore and makes the visibility drop to up to 3 meters and its depth of 38 meters makes it to an advanced dive. Its visibility ranges from five to ten meters while its currents are on one to two knots. Barracuda Lake is found in the middle of the northwest coast of Coron Island which may be accessed by boat. It is a unique dive spot with its turquoise colored freshwater lake that is fed by a hot spring and channels connecting it to the sea which brings sea water into it. The further you descend in it, the warmer the temperature of the water gets. In a depth of 30 meters, the thermometer already hits 38 to 40 degrees Celsius. There’s not much to see in the warm water but the scenery is breathtaking and would give you a feeling of being in a fantasy movie. Once you return to the walls of the lake there could probably be 1 meter long barracudas waiting for you. At the lake’s seaside, an interaction between the sea water and the freshwater may be seen and is evident due to the presence of species like small shoals of rabbitfish, some snappers, coral catfish and various kinds of prawns and seashells. It has an average depth of about 20 meters with medium visibility that ranges from five to ten meters. Kogyo Maru is another shipwreck that is found in the municipality of Coron in Palawan. Located in the southeastern corner of Lusong Island; this Japanese Freight Ship measuring 158 meters was sunk by Americans in 1944 and currently lies in depth of 34 meters on its starboard side. It used to be an auxiliary cargo ship of the Imperial Japanese Navy which was basically loaded with construction materials. In one of its cargo holds one may find a bulldozer which actually looks like a tractor but is still in good condition and includes a 6-cylinder Mitsubishi diesel engine. This hold is full of cement bags which look like stones now. One cargo hold contains rolls of wired fences while the rest are empty. Daylight passes through the salvage hole in the wreck which gives off a good ambiance in the place. The hull is nicely covered with hard and soft corals. Divers may encounter the common Lapu-Lapu (grouper) in a reasonable size, school of batfish, massive lionfish hiding in bushes of black corals, barracudas, wrasses, nudibranchs, and occasionally, turtles and rays which makes the dive more interesting. Kogyo Maru’s visibility ranges from three to fifteen meters depending on the conditions of the current which is usually calm and sometimes, medium. 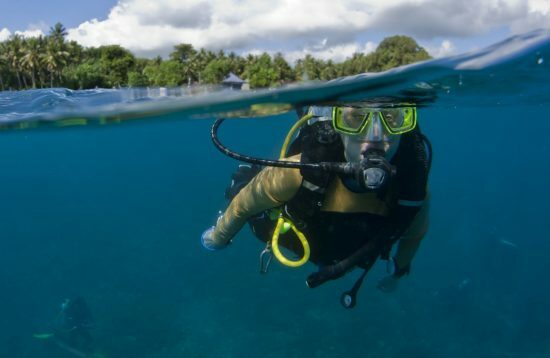 An Advanced Open Water certification is recommended. For advanced penetrations in the wreck, a Wreck Diver certification should be presented. Black Island is located on the east side of Malajon Island and was named Black Island due to its black rocks. The wreck is right in front of the beach next to a ship that is stranded on the shore. The 45-meter long coastal ship of unknown origin lies upright on a sandy slope. It’s bow at 32 meters and its stern at 20 meters. It is a relatively shallow wreck that is ideal to dive for beginners, photographers and night divers with a lot of fish to see. 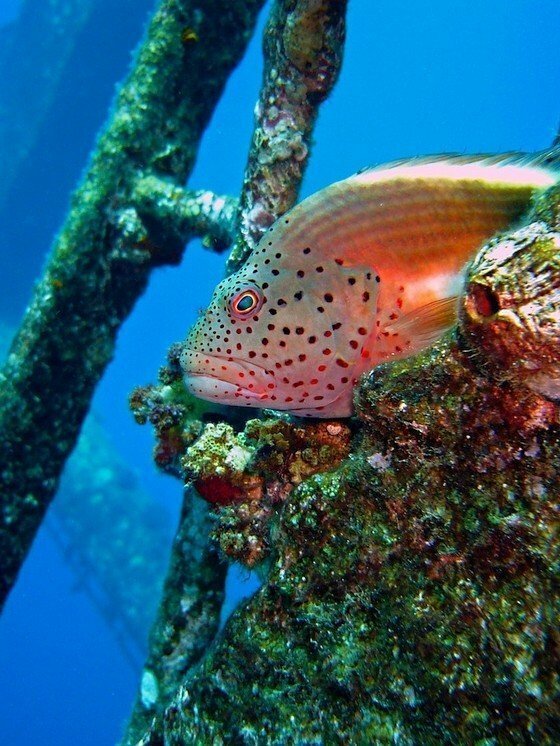 Divers may find many big scorpionfish and red lionfish, small shoals of batfish, big shoals of snappers, fusiliers and sea basses, trumpetfish, six-banded and imperial angelfish may be found around the superstructure. The body of the ship is densely covered with sponges and hydrozoan. Corals are scarce on the west side of Malajon Island but in case of strong currents, you may find open sea species like hammerhead sharks. The waters in Black Island is usually calm with slow currents but diving would not be allowed during bad weathers. It has a visibility of 20 meters and a maximum depth of 32 meters. Bugor reef is an excellent reef that is found on the north shore of Culion Island with slopes from three meters down to more than 35 meters. It commonly has a good visibility of about 15 to 20 meters and its best parts are the shallow ones which has plenty of species of hard and soft corals and a rich fish life. It has reef fishes like the anemone fish, batfish, moray eels, puffers and many others.Turtles and giant clams are also common in this area and with luck, you may also encounter leopard sharks and guitar sharks. Kalambuyan Reef is a dive site that is considered as one of the best reefs in the region and offers a beautiful healthy environment underwater with usually good visibility and an excellent diversity of fish and corals. It is also good for underwater photography because of the rich macro-lives especially the nudibranchs. It only takes a 30-minute boat ride in the northwest of Okikawa Maru to get here. It has an average depth of 17 meters and since it is quite far from the town of Coron, it is usually only possible to access this area in a combination with the wrecks in the northwest part of Coron Bay namely the Akitsushima and Okikawa Maru; or a dive safari. Lusong Reef stretches from the Lusong Wreck to the north reaching about two sea miles and offers good to excellent quality of hard and soft corals that would be very interesting for divers. Because of a nearby pearl farm’s protection, the reef has a good marine life in it which includes turtles, cuttlefish, rays and plenty of micro-organisms like colorful nudibranchs. Both the wreck and the reef are highly interesting for underwater photography and its visibility of 5 to 15 m makes it easier to take pictures of it. Its visibility depends upon the condition of the current. The 7 Islands Reef or Siete Pecado – it’s local name, is one of the most popular reef dives around Coron because of its proximity to the town proper of Coron. It is also good for a night diving but is usually preferred with a combination with Barracuda Lake. This reef has become a marine sanctuary and is closely guarded to assure its protection. The reef has an amazing variety of healthy hard and soft corals and has excellent biodiversity of marine life such as anemonefish, batfish, cuttlefish, barracudas, groupers, angelfish, emperors, moray eels, giant clams, the rare mandarin fish, turtles, lobsters, seahorses, nudibranchs, rays – occasionally eagle rays – are the ones that makes this dive site perfect for underwater photography. Its visibility varies from 5 to 20 meters but it also gets fierce currents sometimes. Chindinan House Reef is a beautiful reef that is just 80 meters off of Chindonan Island Resort and Divecenters shoreline. This reef is perfect for night dives where divers may encounter squids, sleeping turtles, octopus, seahorses, various scorpionfishes and many others. During the day, it serves as a great diving site for Scuba divers and divers who need refreshers.